It has been entirely too long since I read a foodie non-fiction book. I love niche non-fiction titles of any sort, but the food-related ones are always my favorite. I ran across this one on NetGalley and knew instantly that I had to have it. And, incidientally, it seems like my foodie books of choice usually end up being related to France in some way. Not surprising given its culinary klout -- plus there's a lot of pastry and cheese up in the joint. In The Whole Fromage, Lison explores a handful of varieties of French cheese, and she goes after the history of those cheeses with wild abandon. Off the top of my head, I believe we covered brie, camembert, Roquefort, and some others whose names have left me and which I won't try to spell without textual guidance. The history of French cheesemaking is fraught with peril. I'm not kidding! Stop laughing! From the argument of raw milk cheese vs. cooked, goat vs. cow, artisanal vs. industrial...there's a lot to take into consideration. And the French don't play around when it comes to cheese. Once concept, which was totally new to me, was AOC. I can barely explain it, so let's allow Wikipedia to do it. Shall we? The appellation d'origine contrôlée (AOC) which translates as "controlled designation of origin", is the French certification granted to certain French geographical indications for wines, cheeses, butters, and other agricultural products, all under the auspices of the government bureau Institut national des appellations d'origine, now called Institut national de l'origine et de la qualité (INAO). It is based on the concept of terroir. So, yeah, there's a lot of French in there, and I took Spanish in high school and college. Basically, the French government -- when prompted to do so -- will put strict rules on which cheeses can be sold with specific names based on what they're made of and the specific process used to make them. So if it's a Roquefort cheese, it has to follow stringent guidelines to be tagged and marketed as such. This has caused waves of rebuttal in France. Some think it's great! It maintains quality of product, while others know that it industrializes the process and can kill off artisanal cheese makers who can't afford to produce at the same level or with the same massive output. It's the McDonald's syndrome. 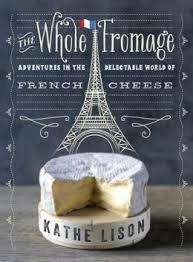 I have a deficit of knowledge about the French language and Frenche geography, so I was at a loss at times, but this book really shines in the way it reveals the process of making each individual type of cheese. From the milking to the curds and whey part of it, putting the cheese into molds, and aging it appropriately. The whole issue of bacteria is another fascinating part of the process. From aging the cheese, to where it's aged, and how that bacteria is added (it used to be natural to the environment, now it's often "farmed"). If you'd like to hear my really horrendous French pronunciation and some personal stories about cheese, check out the video "review" below. Just, wow! This was a seriously entertaining book, and it's really rekindled my love of foodie non-fiction. Win! And for your viewing pleasure, I've included a short video below on the cheese making process on a much smaller scale. It's really interesting, though, because she does go into some discussion of the bacteria and process and whatnot. You can find The Whole Fromage on Facebook (with lots of pics!) HERE. Note: this video is not associated with the book or publisher. Jennifer, right??? I hope you get a chance to try this one. It's charming and awesome. As if you couldn't tell from my gushing reviews. I totally requested a few foodie books thanks to your inspiration and love of them! Yayyy! Which ones are on the docket, Rebecca??? I can always use more recommendations. It's on my way to me! Glad to see you liked it so much. Feel confident now that I will, too. Yayyyy! I hope you enjoy it as much as I did, Deb! I love that I Love Lucy episode! I do know a little French from when we lived there. I have a feeling I'd love that book! hahahaha I feel ya on French pronunciation, and I have to say French words all.the.time (music). But YAY! Amelie is my all-time favorite movie! Oh, I'd be laughed right out of the orchestra pit. Noooo doubt about it! lol And I'm so glad to find another Amelie fan! I adore that movie. So beautiful! I love foodie books! My mom used to read cookbooks instead of fiction and I think I take after her. Kimberly, that sounds AWESOME! I've recently gotten into reading/trying more cookbooks, and it's so much fun. Very addictive. My most recent fave is Food: Vegetarian Home Cooking by Mary McCartney. Can't wait to read this one... it will be perfect for this year's Paris in July event! Yes it will!!! I was trying to hold off reading it 'til then, but I just couldn't wait! YES!!!! I have The Telling Room, too! I thought it was so weird that I got two cheese books at the same time. lol I hope you enjoy it! I'm not sure how quickly I'll get to Telling Room, but I'm gonna try before NetGalley archives it or something. Geez, like I'm not reading enough books. Now I want to start this one. lol I loooooove French cheese. J'adore ca! I learned so much from this book!! Me too, Jenny! And it seemed like such an effortless read. I love non-fiction that reads smoothly and is highly informative. Amen, sister! Glad you enjoyed the review, Katie! I've been lurking on your Instagram enjoying all your photos of Aruba! So fun! Loved this review and loved your video too :D And your French is fantastic!! Remember the foodie book club we used to do? Where we'd read a foodie book a month? I forgot what it was even called :/ Something about book sandwich maybe? :p LOL....I miss that!!! We should bring it back! BookClubSandwich!!! It kind of petered out, but I'd be happy to revive it for a few readalongs per year. Maybe not quarterly, but bi-annually? I love cheese, I love France and I taught French at secondary level so I think this would be ideal. Unfortunately I have to "ration" my salt intake as too much aggravates my Menieres but surely un petit morceau of what you fancy does you good! Thank you so much for commenting, Kathe! I adored the book, as you already know, and I know readers will be thrilled to have a map. :) Thanks for sharing your Facebook page. I liked it and have shared it with my Facebook audience. I'll post it here as well. You're so welcome! Thanks again--and thanks for posting! I am ridiculously excited to find out that the book about cheese really was good. Although, I'm pretty sure a trip to the store for all of the cheeses will be in order upon finishing it, I will read it none the less. I just hope they're having a sale on crackers. As a huge cheese lover, I find this book to be incredibly appealing. I love learning about the foods that I love to eat. And even though I don't know any French and have never been to France I love reading and learning about the French. 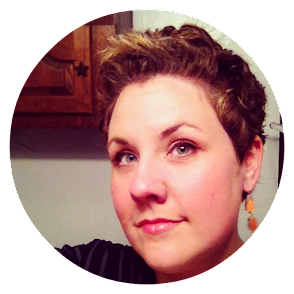 Altogether, I'm thinking this is a piece of foodie nonfiction that I would LOVE to read!